This Sunday, Fort Canning Park, Fort Gate will be the staging ground for Tropika, a homegrown entity focused on global music, art and film that aims to connect socially conscious individuals. In the midst of the lush, rolling greenery of Fort Gate, Tropika will unspool as a gathering of next-level musical purveyors from within Singapore and without. Carrying the torch will be astoundingly original audio-visual project NADA, Syndicate honcho Kiat and Singaporean poet and multi-disciplinary artist Deborah Emmanuel, who will come together as a duo aptly christened Polymorphism, Darker Than Wax co-captain FUNK BAST*RD and spectrum-blasting collective the Beatroot Ensemble. Berlin baile funk maestro Daniel Haaksman and Italian multi-instrumentalist Gabriele Poso are the two international acts joining our local heroes for the inaugural edition of this conscious festival. 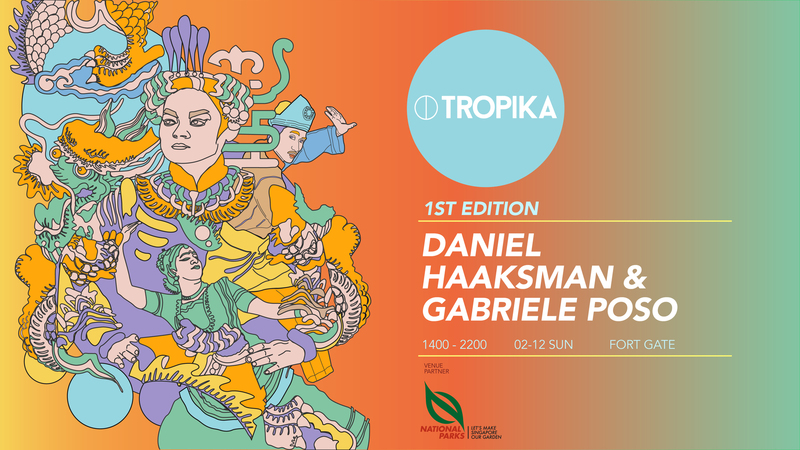 Tropika 1st Edition happens Sunday, December 2, at Fort Canning, Fort Gate, from 2pm onwards. Tickets, $15 (kids) and $35 (pre-sale) are available here. Event-day admission is $45.